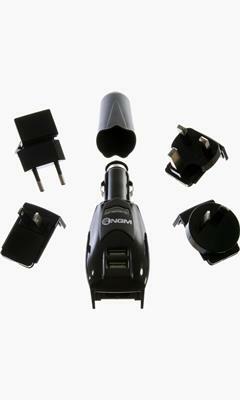 Universal charger with network and car adapter, capable of simultaneously loading up 2 NGM or compatible devices. 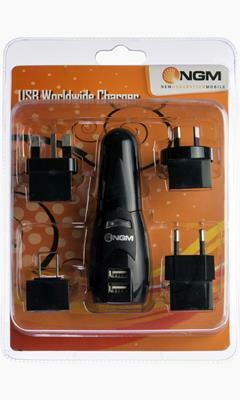 4 different mains adapters for different countries are included in the package. 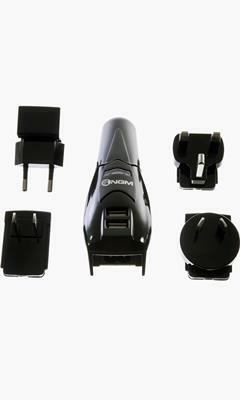 Ensures a rapid device charging. USB cable not included (sold separately).